Charming and spacious 4 bedroom family home on your own 5 acre irrigated farm in Green Acres! 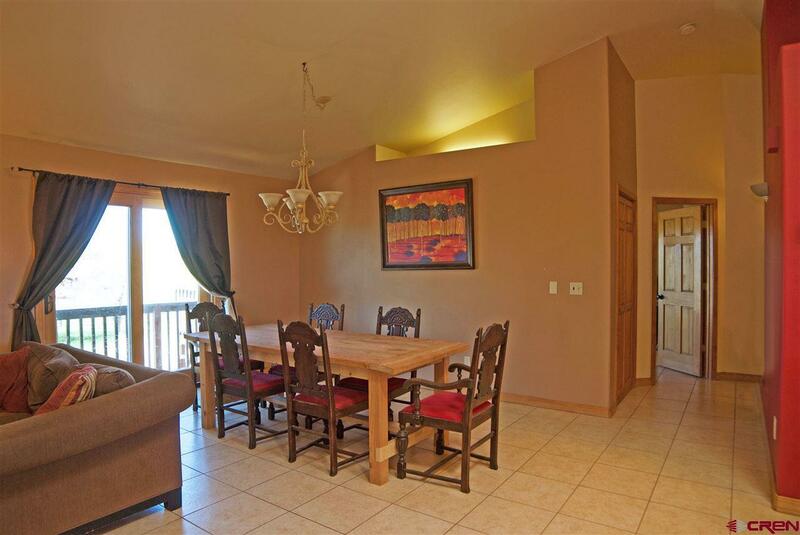 Theres room for everybody with over 2800 SF, 2 living rooms, 4 bedrooms and 3 patio areas. Walk through the front door and you are greeted by the entryway, stairs to lower story and large living room area. Vaulted ceilings give this area a spacious feel, along with ample light from the surrounding windows. The living room, dining and kitchen flow together seamlessly making entertaining easy. 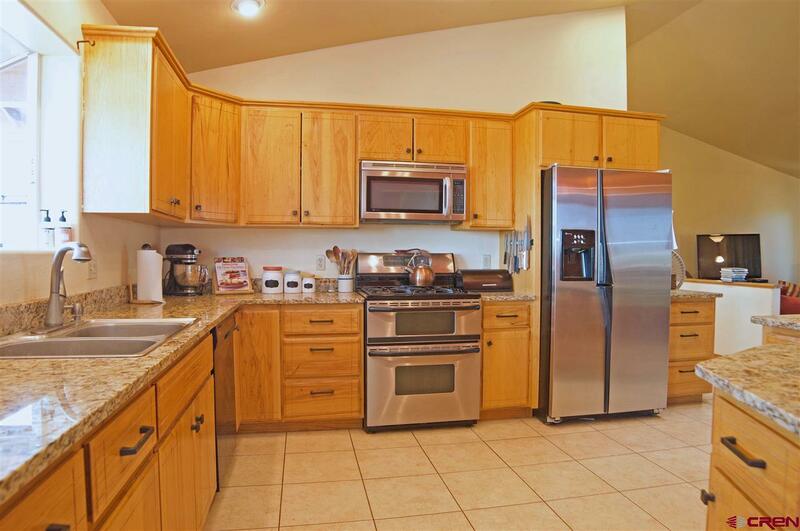 Kitchen offers granite counter space, a double oven with gas range top and stainless steel appliances. A walk-in pantry provides lots of kitchen storage for even the largest family. 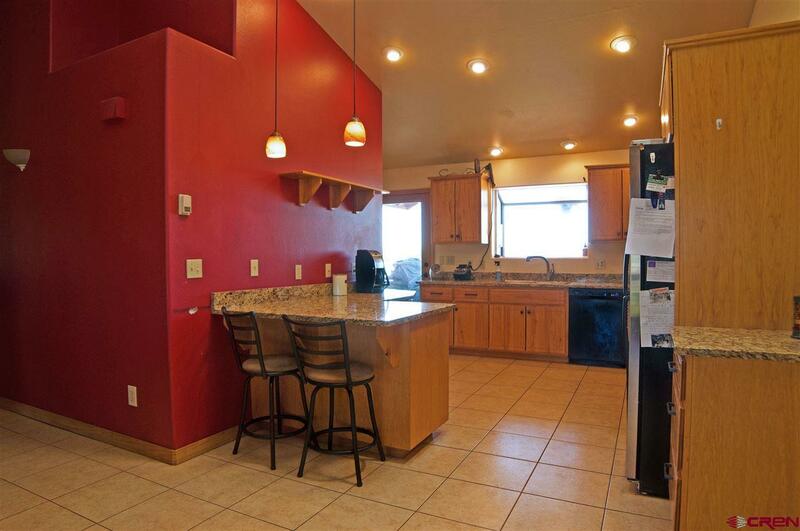 Theres also a breakfast bar offering a convenient place for breakfast or quick meals. Down the hall from the kitchen is the main level master bedroom. You can enjoy majestic views of the beautiful countryside with the La Plata Mountains as a backdrop. This comfortable sanctuary offers a walk-in closet, private master bathroom and access to a large covered deck. Just down the hall is a roomy office space. Also on this level is a full bathroom with shower. On the lower level you will find 3 additional bedrooms (one of which is the guest master suite) plus an expansive 2nd living room that includes a wall-to-wall built-in entertainment center. Made with solid hickory, this expansive entertainment center offers ample room for your big plasma screen TV plus your games, toys and entire DVD collection. Guests will enjoy having their own suite with private bathroom. The lower level living room opens out to a covered patio area. The kids will have plenty of space to play outside in the huge yard. Theres a play set with slide and swings plus a giant trampoline thats been buried into the ground (for easier access and safer play). Several raised garden beds make a great place to grow flowers, herbs and vegetables. During the growing season, youll have ample water for the landscaping and the pond with over 9 Acre Ft. of irrigation water for the property. Irrigation piping is in place and theres an automatic sprinkler system on the north side of this mini ranch. For your animal friends theres a Morton style metal barn (with electricity) that offers 2 gated stalls for horses, a 3rd open stall with cement flooring (great tacking area) and a 4th enclosed stall. Spacious corral for the horses to run around and an enclosed chicken coup. There are two conveniently located freeze-resistant water faucets. Dog house with small enclosed yard provides plenty of space for the dogs to be secured, but comfortable. Youll enjoy fresh clean water with the homes water filtration system and water softener. Your home will stay warm during the colder months with an in-floor heating system throughout the house. 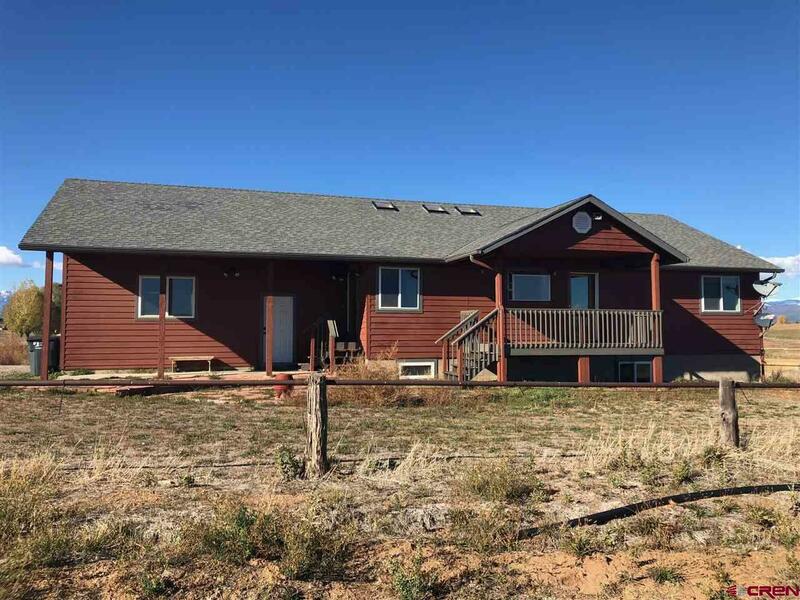 Do not miss out on this opportunity to own your own small farm on the mesa.